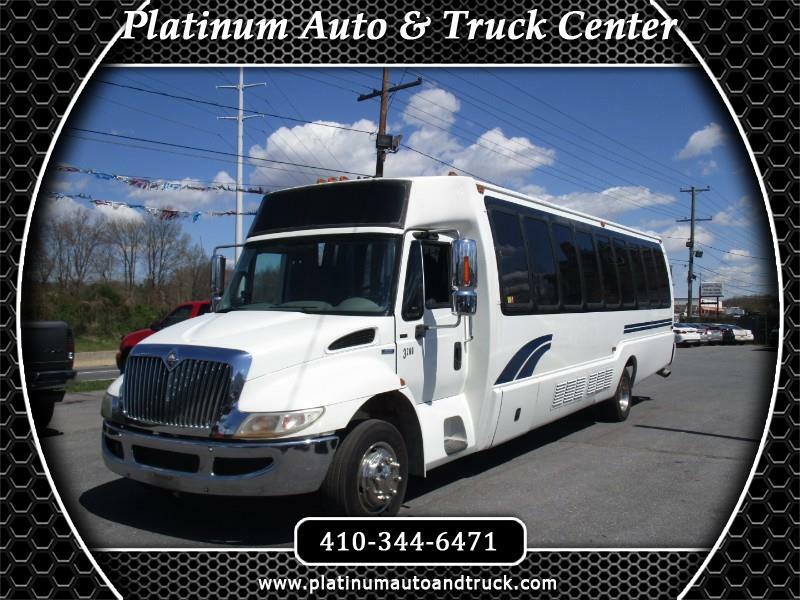 you are looking at a good looking, good running 2008 INTERNATIONAL 3200 32 PASSENGER SHUTTLE BUS. this 1 owner bus with 284k miles is powered by a 7.6L international diesel. the motor is smooth and strong and the transmission shifts through the gears with ease. the tires and air brakes are in good shape and ready to take you where ever you wanna go. it does have service light on for the abs and traction control. its probably something as simple as speed sensor or abs sensor. we don't have a scanner for this truck. the light does come and go and doesn't have any effect on how the bus drives. the exterior as you can see is still in great shape. it does have some small cosmetic fiberglass issues (see pictures and video) but no major dings or dents. the paint has a nice shine to it. the tires are in good shape. the undercarriage is in great shape with no rust issues or current leaks. just an overall great looking bus. the interior as you can see is in great shape. the seats are in great shape. both the front and rear a/c units perform without issue. this bus is an absolute pleasure to drive and would have no issues taking it across the country.